Vacation at a New Hampshire BB Inn. 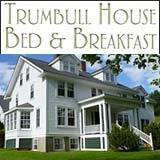 NH is blessed with dozens of excellent country inns and B&B’s in every corner of the state. Whether you’re looking for a quaint NH lake-side bed and breakfast inn or a luxurious, full-service destination country inn with award-winning dining, New Hampshire has the ideal inn accommodations for every taste and budget. Visit our featured New Hampshire Inns to find the best NH Bed and Breakfast Inn Lodging available. Thanks for telling your NH Innkeeper ” I found you online in NH Living.com – NH’s Internet Magazine. 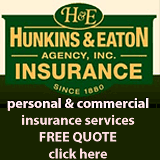 Share comments or ask us about NH Inns. To feature your NH B&B, contact us. Discover NH Bed and Breakfast Inns in every region. Great North Woods, White Mountains, Lakes Region, Dartmouth-Sunapee, Monadnock, Merrimack Valley and Seacoast.